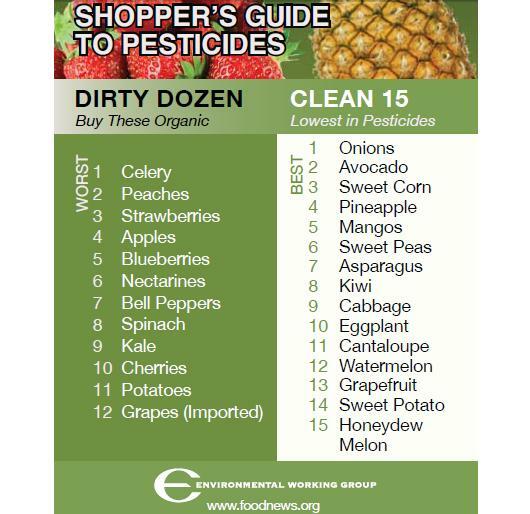 A few months back, we reported on the 12 most pesticide-laden fruits and veggies. Today, Mother Nature Network reports that the Environmental Working Group is about to publish the 2010 version of the list. This year, celery beats out peaches for the number one spot in the “dirty dozen” list. New additions are spinach, potatoes, and blueberries, replacing last year’s lettuce, pears, and carrots. In the “Clean 15” list, grapefruit and honeydew melon replace tomato and papaya.